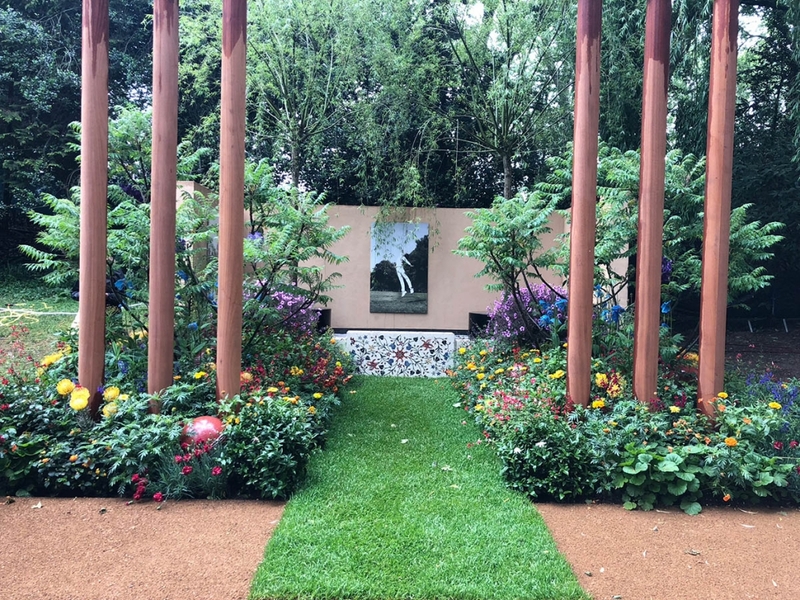 The Chelsea Flower Show has been an annual London tradition since 1833 and is the most famous event of its kind. 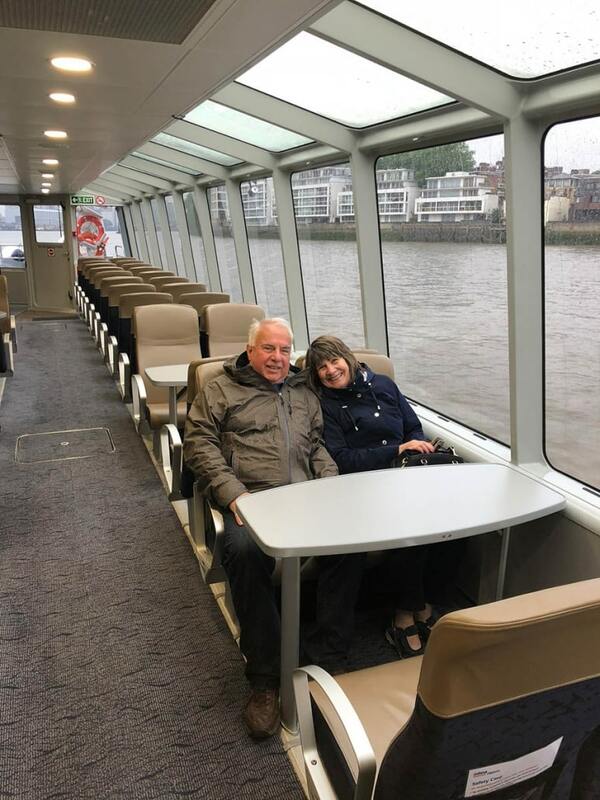 On our trip to England in May, MaryJo and I were lucky enough to be able to attend this exclusive event—and we got inspired to bring a bit of it to the Arboretum for you! 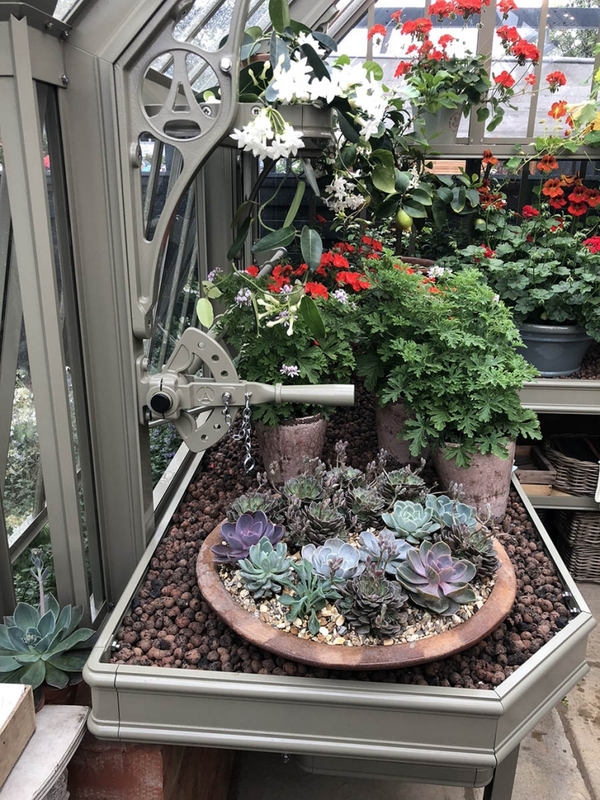 The Chelsea Flower Show inspired the Conservatory Craftsmen approach to the Minnesota Landscape Arboretum’s Spring Flower Show, February 1 through March 3, 2019, which includes a centerpiece of a glass house designed and built by Conservatory Craftsmen, evoking those in the great gardens of Europe. 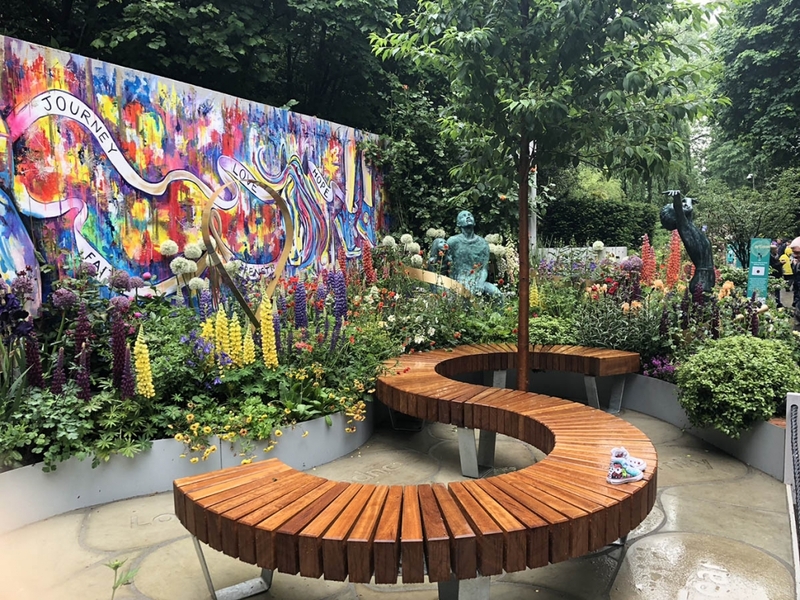 The see-and-be-seen Chelsea event lasts a mere five days—“mere” because, incredibly, 800 workers spend 33 days filling three acres with flowers, landscaping, and extraordinarily imaginative displays, only to take it all down in less than a week! So many garden and plant themed exhibits! 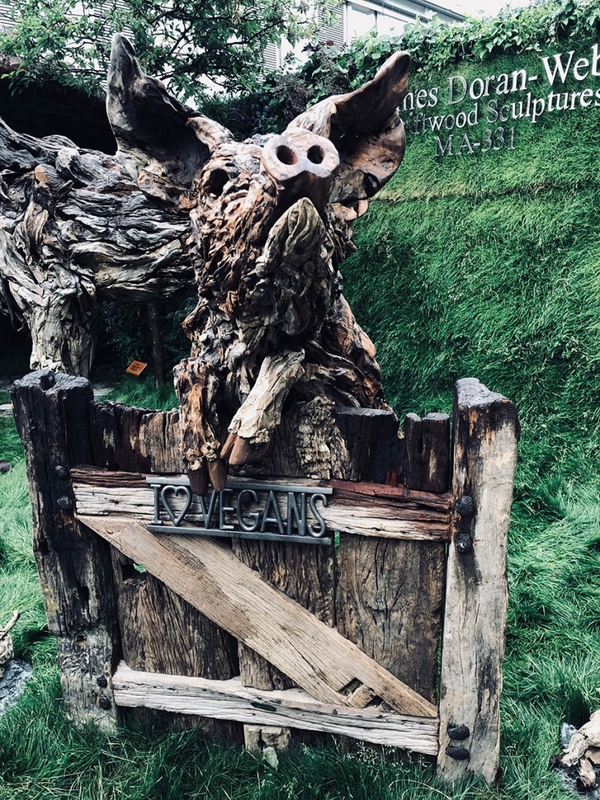 Sculptures are crafted of veggies and tropical blooms, new varieties of all sorts of flowers are debuted, and the world’s leading nurseries and garden centers display their wares and the latest trends in gardening. Breeders and horticultural vendors compete for Product and Plant of the Year awards. 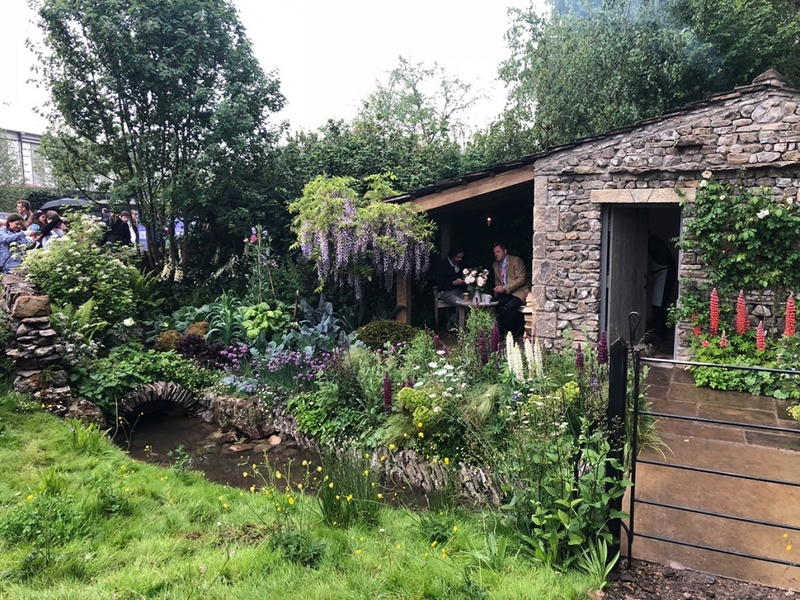 Gorgeously appointed shops and stalls feature garden-themed gifts and supplies, including watering cans, flowerpots, garden seating, and, of course, the plants themselves (until only a few years ago, garden gnomes were strictly prohibited!). Plantings are arranged like artwork, and are grouped, tucked, and nestled into faux garden plots and exotic displays. The UK flower show is hugely popular and also just plain huge. Some 150,000 visitors attend, including the Queen and her family, plus well-dressed and titled folks (oh, the hats alone!). 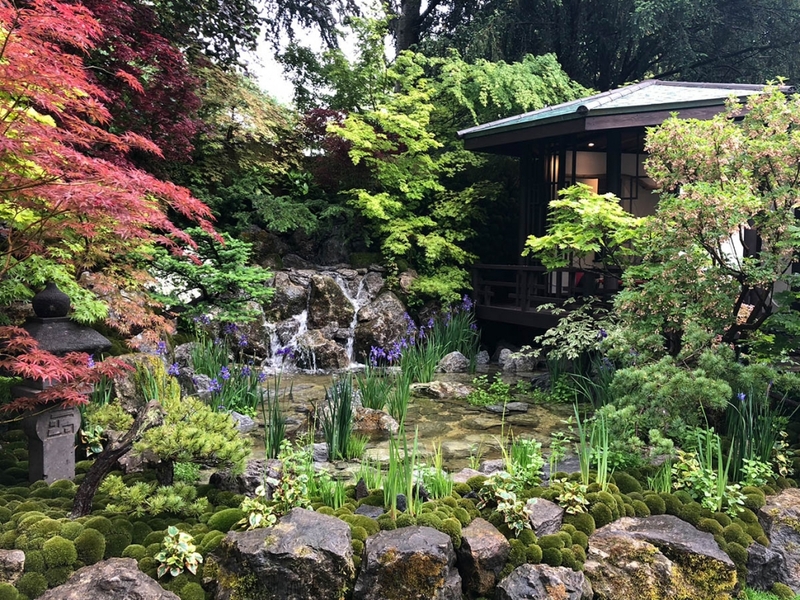 The Main Pavilion alone houses more than 100 floral exhibits, and there are smaller tents and outdoor gardens to tour, as well. 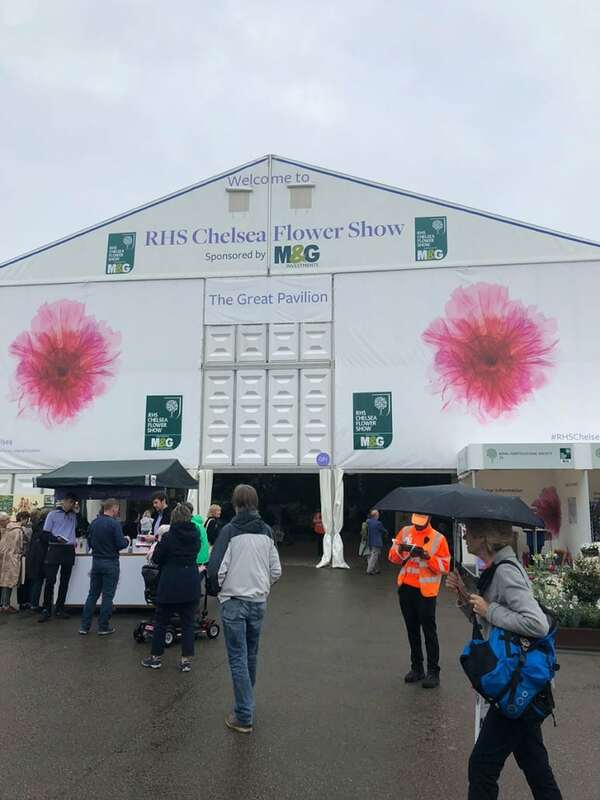 The Chelsea show featured eco-friendly growing practices, including the use of cold frame plant beds and greenhouses. The concept of a garden conservatory for cultivating plants in controlled environments originated in Britain. Many of the famous country houses and estates of the UK feature elaborate, even fanciful conservatories that have aesthetic value as well as practical applications. 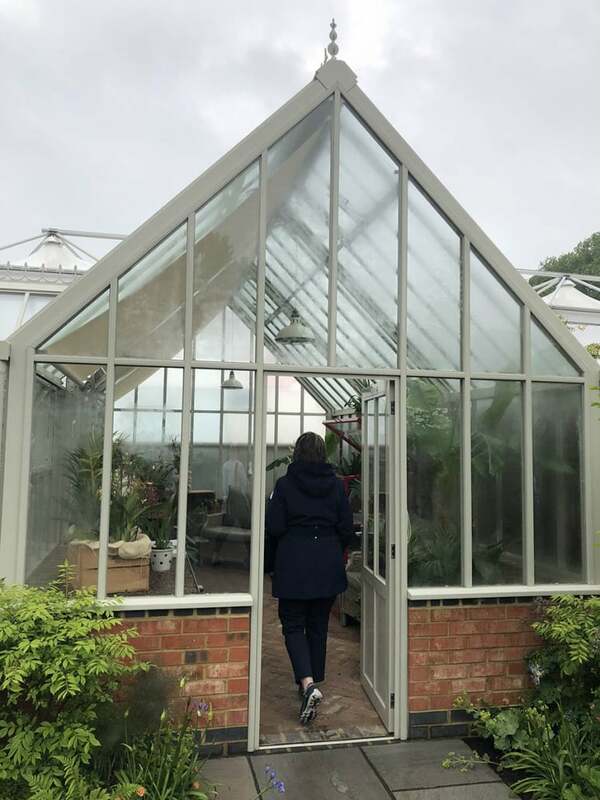 Glass houses are the hard-working and less fussy relatives of more extravagant greenhouses, functioning as hothouse and potting shed. 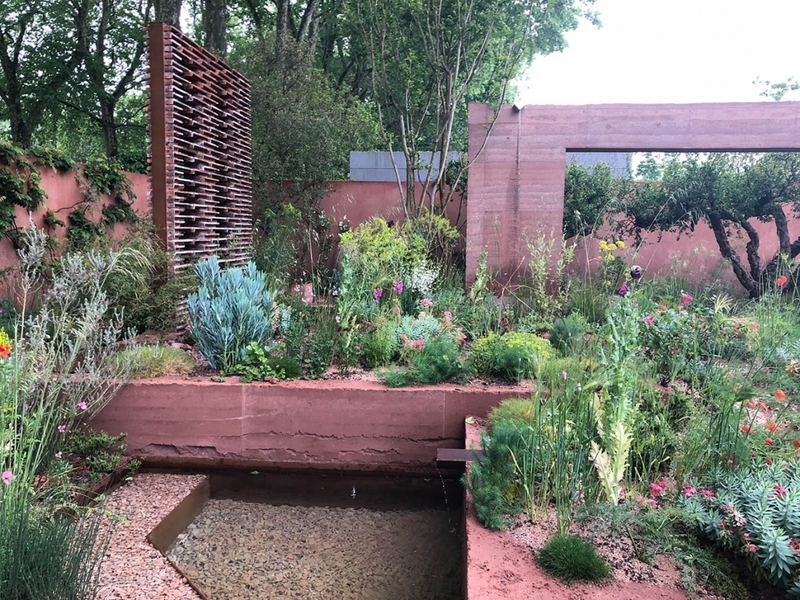 Here is where many a British garden would grow kitchen herbs and plants used for medicinal purposes. 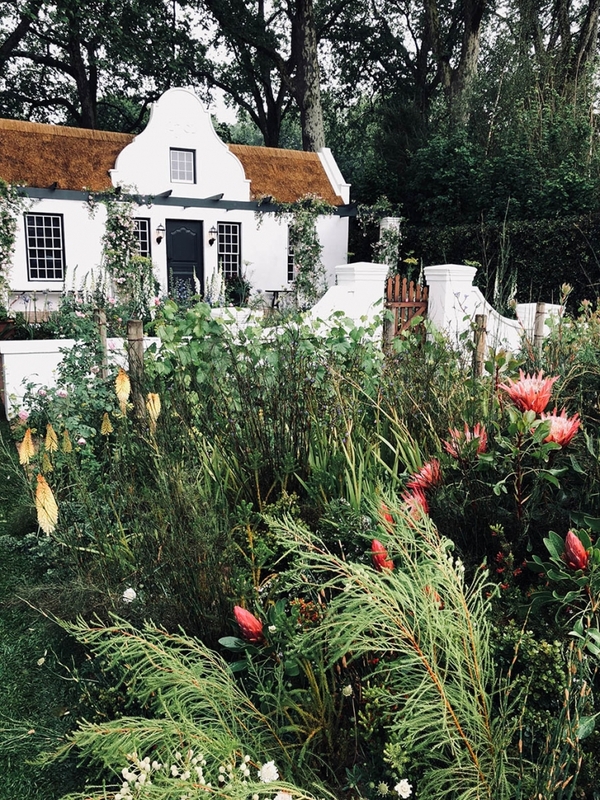 With current trends in sustainability practices and increased interest in organic diets, we saw many useful applications for garden glasshouses back in the States: growing herbs and vegetables year-round, starting tender seedlings, extending the growing season in cold zones. 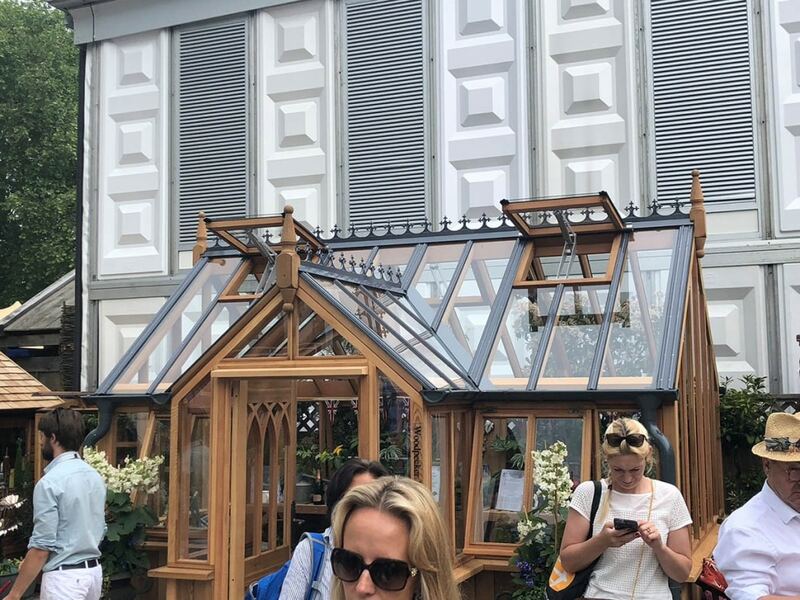 We built a glass house for the Arboretum flower show as a fairly authentic European kitchen garden. If we were to build this for a customer with all the technology we can put to use today, the windows would operate on temperature controls, the blinds would fold up or down based on the time of day or amount of sunlight, and there would be automatic supplemental heating and an automatic fan. We also created special takeaway cards with a European theme. 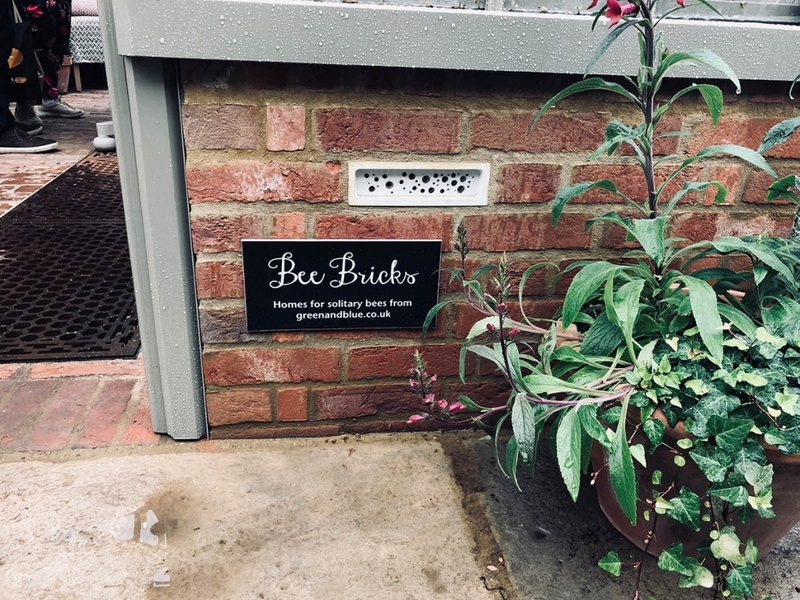 To inspire your own kitchen garden, we created a fun reference card of kitchen herbs and healing plants dating back to the historic origins of kitchen gardens in Europe. 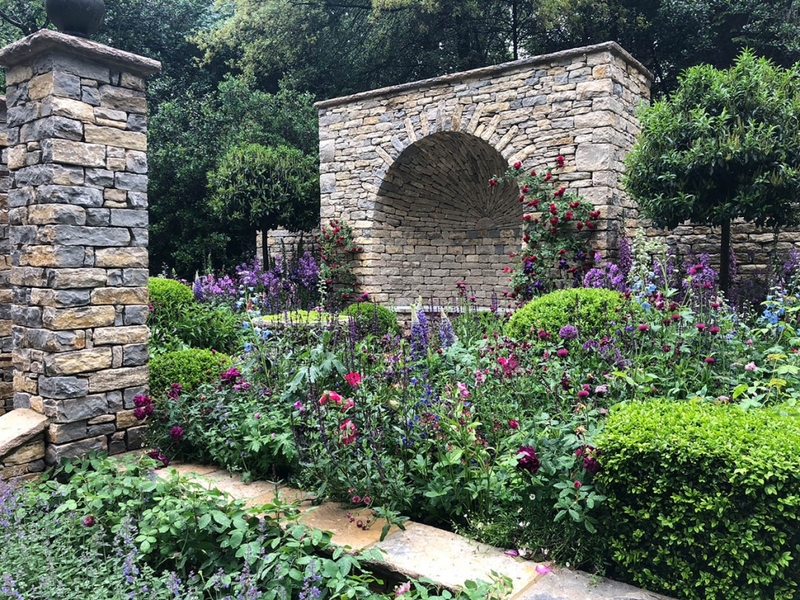 King Charlemagne famously championed herbs and aromatic and healing plants in his gardens, and we’ve listed some of his favorites—you’ll see many of them at the Arboretum! 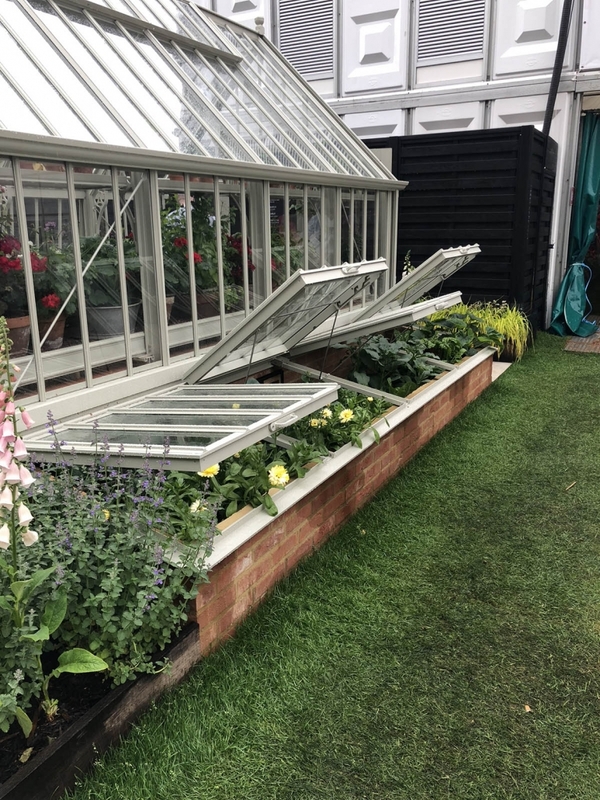 At the Chelsea Flower Show in May 2018, Mary Jo and I were inspired by this practical and attractive cold frame system attached to a classic English garden glass house.